There's an Irish saying that goes, "May your home always be too small to hold all your friends." In the spirit of the upcoming holiday and Tee & Penguin, I'll add, "and may your library be too small to hold all your books." I will never have enough shelves to hold all the amazingness currently stored on my Amazon wish list. But enough about my first world problems. 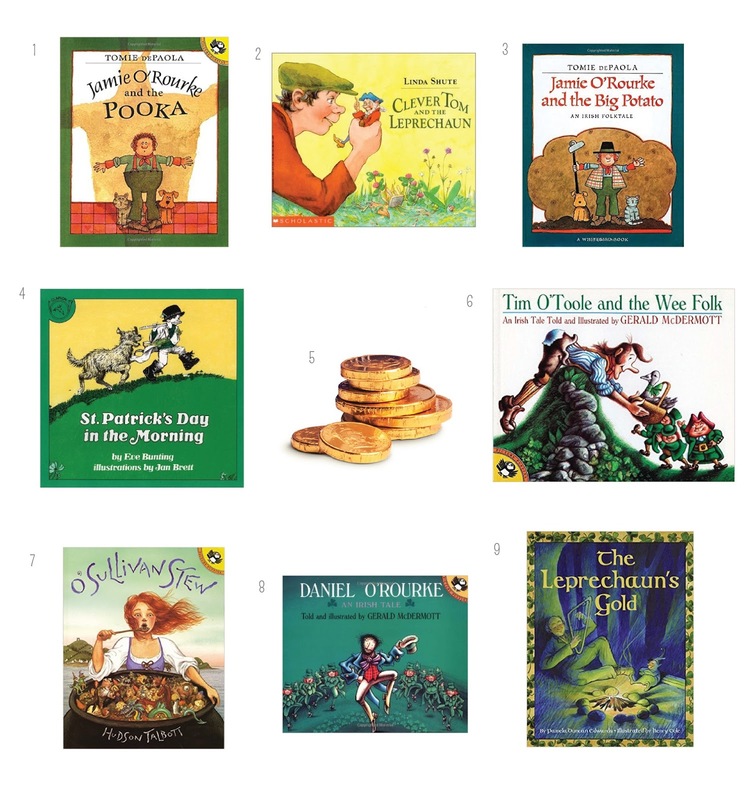 We're here to help you get into the St. Patrick's Day spirit with a round up of some our favorite books for the holiday. Did we miss any of your favorites? St. Patrick's Day is a great excuse to have some extra fun with your kids. We've done everything from building and setting leprechaun traps, having them wake up to leprechaun mischief (green milk, hidden toys, etc. ), to leaving a scattering of (chocolate) gold coins for them to search for. All popular options. We would love to hear about any fun traditions you have in your home! If you're looking for some simple crafts to celebrate with check out this Huffington Post roundup. Here are some recommendations for authentic Irish dishes, at least a handful of which look appetizing. Kidding, not kidding. And how about this twist on the Shamrock shake?